In this case, the Supreme Court will be asked to consider two distinct but interlinked issues. Firstly, the court will look at the question of whether there exists (or should exist) in English law a tort of malicious prosecution of civil proceedings (as opposed to criminal proceedings, in relation to which it is well established that such a tort exists). Secondly, the court will look at the precedent status of Privy Council decisions and consider whether they should continue to be treated as non-binding upon the courts of England and Wales. Mr Gubay is a businessman who has had substantial success with the Kwik-Save chain of supermarkets and the Total Fitness chain of health clubs. Mr Willers was Mr Gubay’s right hand man from 1986 until his dismissal in 2009. Mr Gubay controls, among other entities, a company called Langstone Leisure Limited which in turn sits within the Anglo Group. Mr Willers was a director of Langstone. Langstone funded and indemnified the liquidator of a company known as Aqua Design and Play Limited for the purpose of prosecuting an action against the former directors of Aqua for wrongful trading. The action against Aqua was abandoned shortly before trial, meaning that Langstone became liable for costs of £1.95 million. Subsequently, Langstone brought a claim against Mr Willers alleging breach of his common law and fiduciary directors’ duties. Mr Willers denied all liability and sought an indemnity from Mr Gubay, whom he joined into the action as a Third Party, claiming Mr Gubay was the sole effective decision maker and it was in fact Mr Gubay who had directed Mr Willers to bring the action through Aqua’s liquidator in the first place. Two weeks before Langstone’s action against Mr Willers was due to be heard in a 5 week trial, Langstone discontinued its action and was subsequently ordered to pay Mr Willers’ costs. Around a year later, Mr Willers brought a claim against Mr Gubay claiming damages for the tort of malicious prosecution of civil proceedings. Mr Gubay applied to strike out the claim on the basis that there is no tort of malicious prosecution of civil proceedings known to English law. Mr Gubay’s application is based on the House of Lords’ decision in Gregory v Portsmouth City Council  UKHL 3, in which the House of Lords re-affirmed that the tort of malicious prosecution was only available in the context of criminal proceedings and special instances of abuse of civil legal process. 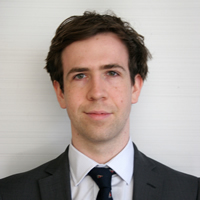 Mr Willers’ argument is premised on the Privy Council decision in Crawford Adjusters (Cayman) Ltd v Sagicor General Insurance (Cayman) Ltd  UKPC 17. In this case, the Privy Council departed (by a majority, subject to two strongly dissenting judgments from Lord Neuberger and Lord Sumption) from the position under Gregory and held that the rationale for excluding civil proceedings from the scope of the tort no longer remained valid. The application was heard in the High Court by Miss Amanda Tipples QC in May 2015. The judge carried out an analysis of the above authorities, and also the Court of Appeal’s decision in The Quartz Hill Consolidated Gold Mining Company v Eyre (1883) 11 QBD 674 CA. In Crawford Adjustors, the majority of the Privy Council interpreted the Quartz Hill case as accepting in principle that the tort of malicious prosecution extended to all civil proceedings. However, the judge concluded that the House of Lords’ decision in Gregory was binding. She also concluded that Crawford Adjusters, as a Privy Council decision, was not binding notwithstanding submissions from counsel for Mr Willers that it should be treated as such. The claim for damages for malicious prosecution was therefore stuck out. Somewhat unusually, this case is the subject of a ‘leapfrog’ appeal and comes to the Supreme Court directly from the High Court decision. The leapfrog procedure may be engaged when (i) the trial judge considers herself bound by a previous decision of the Court of Appeal (and that therefore the appealing party could not succeed in the Court of Appeal); (ii) where a sufficient case has been made out to justify an application (normally, that the appeal raises a point of law of general public importance); and (iii) that all the parties agree to the granting of a leapfrog certificate. Even then, permission to appeal also has to be granted by the Supreme Court. The court’s view on whether or not malicious prosecution is available in the context of civil proceedings will be noteworthy in and of itself. However, perhaps the really important aspect of this case is the second issue, regarding the binding status of Privy Council decisions on the courts of England and Wales. Seeing how the Supreme Court Justices, themselves members of the Judicial Committee of the Privy Council, deal with this issue will be very interesting indeed. Mr Willers’ appeal will be heard before a full panel of nine Justices on 7 March 2016. Leave a reply on "Case Preview: Willers v Gubay"